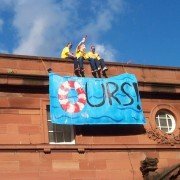 To commemorate the centenary of the opening of the Govanhill Baths the Trust decided that an artist’s banner commission would make a valuable contribution to celebrating this unique achievement and as a permanent reminder of the huge achievement by the community in bringing the building back into use. The commission will compliment the vibrant and diverse ongoing programme of creative activity spearheaded by the Arts Programme and be built on the wealth of creative ideas, enthusiasm and skills within the building. 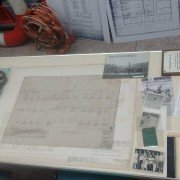 It will also draw on the recent created community archive, housed in the Baths, which documents much of the social history. The Artist will receive a fee of £1000 including a material budget of £700 including fixtures and installation. The interviews will take place on Thursday 23rd February . 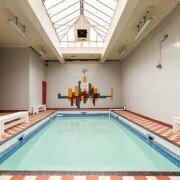 After 16 years of struggle, the teaching pool at the Baths opens this month for lessons for children from babies to 5 years. All classes are delivered in small groups, allowing the teacher to focus on the learners and tailor the lesson accordingly. 1 to 1 or 1 to 2 lessons may be available on request.